Subject: Baby food jars? Where did they all go? Baby food jars? Where did they all go? In my younger days I saved up all the baby food jars and made handy little parts bins and storage "wheels" . Well now that I'm older I just can't find any jars that size. Good news is no matter how bad things get we will always need drugs. 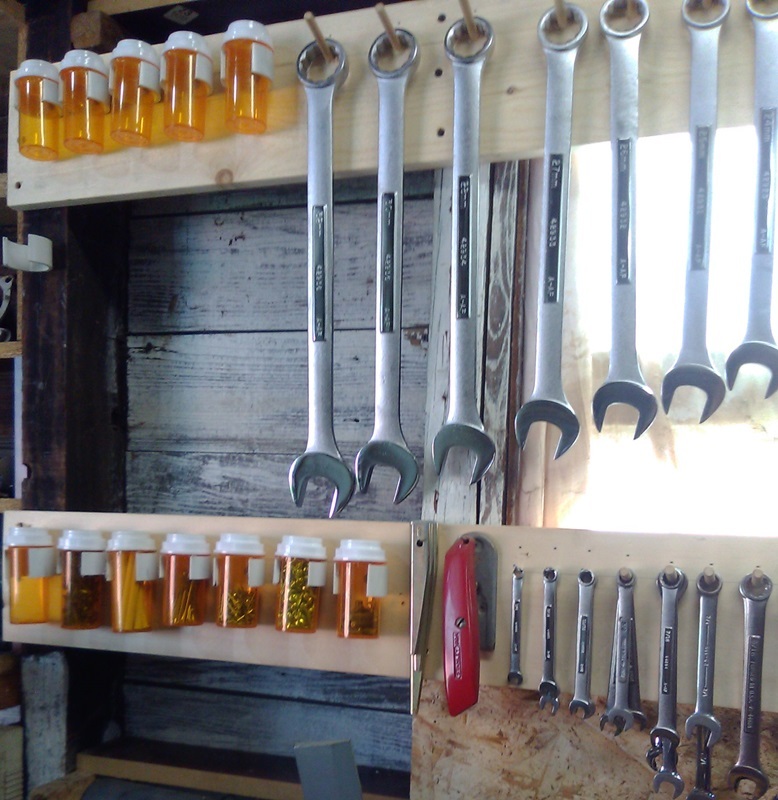 So now I make small parts storage bins with little clips I make from PVC pipe and prescription bottles. Pretty darn slick when you see them in person. Re: Baby food jars? Where did they all go? My father-in-law's shop had a ton of baby food jars - he would nail the lid to the underside of a shelf and stored all kinds of fasteners and "stuff" in them. God knows I have enough pill bottles, All sizes too!